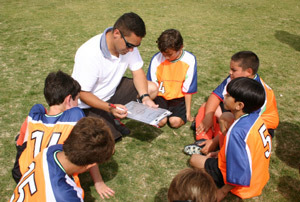 Is Your Child's Coach Playing Favorites? I was livid. My son, the back-up second baseman, had been told by the coach that, if the team had a sizable lead, he would come into the game in the fifth inning. But here we were, up 20 to two, and the coach made no changes. Ok, I thought, maybe in the sixth. Nope. In the seventh? Hardly. Game over and my son never played. I couldn’t even see straight. To make matters worse, later that night, I found out that the starting second baseman had implored the coach to put in my son, and he brushed him off. Clearly, the coach was playing favorites…or was he? Most coaches—whether volunteer or paid—are good-hearted individuals who truly want to develop players’ skills and teach them to enjoy the game. In a perfect world, especially at the recreational youth sports level, every player gets equal playing time or, at the very least, the coach follows league or national rules about minimum play or playing time distribution. However, we all know that the world isn’t perfect and, when your child enters the world of select, travel, or even high school sports, the rules change drastically. 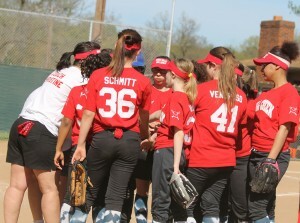 Most of the blatant cases of true favoritism come when the coach’s own child is on the team. While unprofessional and distasteful, it does and will continue to happen until the end of time. Based on my personal experience, however, there are often other reasons coaches play—or appear to be playing—favorites that parents don’t see or don’t want to see. Winning is everything – This is the most common reason coaches put the same kids on the field or court, game in and game out. Rather than focusing on player development in the long term, the coach is so focused on the short-term results that he cannot bear to make any changes once he has found the “winning formula.” In fact, the coach is frozen with fear of making a change. This is the reason, I believe, that my son never entered that game, even when the team had a huge lead and other players were imploring the coach to put in subs. Pleasing the parent with the dough – A few years ago, my son was on a travel team with a lot of great baseball players–and one pretty mediocre one. And that player had more playing time than anyone else. Why? His father was bankrolling the team; the coach had to put in that player to please the parent and get his paycheck. So while most of the kids made the team based on talent, this child made it because his dad was paying. I’ve seen the same situation occur time and time again, when a parent sponsors the team and his business’ name is on the jersey. Guess who always plays? Getting realistic – Let’s face it. Where our children are concerned, we parents simply are not objective. Is the coach really playing favorites and not playing your child, or is your child just not as good (or reliable or consistent) as that other player who is getting more playing time? Maybe your child has missed a few practices and the other child hasn’t missed any. You might need to take a step back before accusing the coach of playing favorites. I’m sure there are many other reasons that coaches put in certain players over others that I haven’t touched on in this blog. And I’m just as sure that many of them are unsavory and I wouldn’t condone any of them–just as I don’t condone the ones I’ve experienced firsthand. Whatever the situation, however, angrily accusing the coach is never the right approach to solving the problem. And speaking negatively about the coach in front of your child only undermines the coach and makes matters worse. The best approach, if your child is under 13, is to calmly ask the coach—after a practice, not a game—if there is a good time to discuss your child’s role on the team. During that phone call or, better yet, face-to-face discussion, ask what your child can do to improve her skills. Most coaches will be happy to talk with you when you approach them in a calm, rational manner and show that you care about your child’s development. If your child is over 13, she should advocate for herself with the coach. No parents allowed! Of course, there are those situations where the favorite is the coach’s child or the child of the parent with the deep pockets, and no amount of advocating will change the situation. In those cases, you need to determine if that’s the right environment for your child. If not, the only solution is to find another team.